Max Irons is currently making his London stage debut in Tom Stoppard’s Artist Descending a Staircase at the Old Red Lion in Islington. 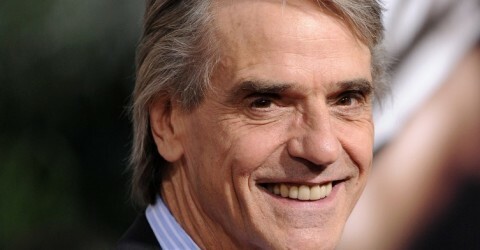 Born to theatrical parents (Jeremy Irons and Sinead Cusack), 24-year-old Irons has already notched up film credits including Being Julia and Dorian Gray, and earlier this year he appeared on stage in Wallenstein at the Chichester Festival Theatre. Artist Descending a Staircase, which was written in 1972 as a radio play, was first performed on stage at the King’s Head Theatre in 1988. The current production at the Old Red Lion, under the direction of Michael Gieleta, is its first major revival since then. What made you decide to become an actor? I always find that people have these massively romantic reasons for wanting to become an actor. I, unfortunately, don’t. I always wanted to do it, in school while growing up, from being in Snow White and the Seven Dwarfs playing a dwarf onto more serious things. Problem is, I have dyslexia, which is always a bit of a killer on stage. People would hand me a script and say “Read this and act!”, which was a mind-bending idea, and I would start sweating and shaking profusely. As I went on and did more serious things, I would have time to prepare. I did a Neil LaBute two hander, which I enjoyed massively, and I did other bits and pieces at school. I considered going to drama school, but I wasn’t entirely sure, so I took a gap year and worked with a company in Nepal who taught kids living on the streets – they asked me to teach theatre, which I enjoyed immensely. After that I came home, and over a period of six months I prepared myself for drama school, did my auditions and got offered a place. You come from an acting family. Was that an encouragement for you or a put off? To be honest, it was a bit of a put off. It’s a difficult question because I can’t say with a clear conscience that my choice had nothing to do with them. What I mean by that is not that I saw them out there working, making money, having an enjoyable profession, but that I was exposed to theatre and film at an early age. When I saw told my parents that I wanted to be an actor, their first response was “Don’t”. They said “Just because we had a successful career doesn’t mean that the same will apply to you”. I now know, after being in the business for two years and facing rejection, just what they were talking about. Many actors are going straight to television and film these days, and some are accused of fame-seeking. What’s your take on that? The business is different to how it used to be. My Dad said “do rep”, and I had to explain to him that it’s hard to come by these days. Celebrity culture, seeking fame and fortune and all that, is definitely out there. To be honest, to be an actor for life requires for steely stuff. You have to have a lot of conviction. If you’re only looking for fame and fortune, you won’t survive. How did that come about? Burberry was the first to approach me. I got a phone call on a Saturday morning from a man saying “we want to photograph you with Kate Moss, and we’ll pay you a bit”. And I thought, ‘well it’s a good experience to cross off your to do list’. And more recently, I worked with Mango, which is another great company. So I put a little bit of money in the bank for when times are bad, and God knows times are bad now. Are you keen now to mark your territory as a serious actor? Well, ideally I still need to learn a lot. And the best place to do that is in theatre where you can do it night after night after night. To be honest, I enjoy theatre more than film, but then again, if an interesting part were to come along, I don’t think I would hesitate too much. Beggars can’t be choosers! What attracted you to Artist Descending a Staircase? I quite like intimate spaces, and the project seemed really interesting, so with that combination I couldn’t help myself. I worked in Chichester for a while, which I adored. It was in the round, but not nearly as intimate as the Red Lion. Can you provide an overview of the play? It’s about three artists who share a studio together and much of their lives together, and still in their 70s are exploring what modern interpretive art can offer. In the middle, there a three scenes when you see the same artists when they were in their 20s, which is where I come in. Mainly I would say it’s about the way these three personalities view the world artistically, but then there’s also a whodunnit element, as two characters pass away during the course of the play. I don’t want to give too much away. Which character do you play? I play Beecham, who is the mousiest of the three artists. I think he’s the best at keeping his mouth shut and his eyes open, and seeing the world truly for what it is – which is in stark contrast to many other artists. What particular challenges are posed by the fact it was originally a radio play? Well, in terms of staging, there’s a lot of trial and error. Tom’s an incredibly skilled writer, so there aren’t any holes to be plugged, so it’s basically a case of improvising and trying different ways of playing it. Our director Michael (Gieleta) has left a huge amount to us, which is really nice, but what’s also nice is that he’s got a very clear vision of how it should be done. He’s very good at sketching the picture in our heads, and then letting us fill in the gaps. Why do you think it hasn’t been revived for so long? I think primarily because it’s a radio play. Plus, a lot of the subject matter is quite hard to handle. I struggled with it at first, because it has a lot of references to various artistic schools of thought. If you don’t know what they’re talking about, it can be very tricky. What have you got lined up next? Well, ideally I’d like to do some Chekhov, who is probably my favourite writer. I also hear that David Hare might be doing a production of Ghosts, which is very exciting and another great play. There are various possibilities, but primarily I just want to keep working. Artist Descending a Staircase, which also stars Jeremy Child, Olivia Darnley, Ryan Gage, Edward Petherbridge, Alex Robertson and David Weston, continues at the Old Red Lion until 31 December 2010. 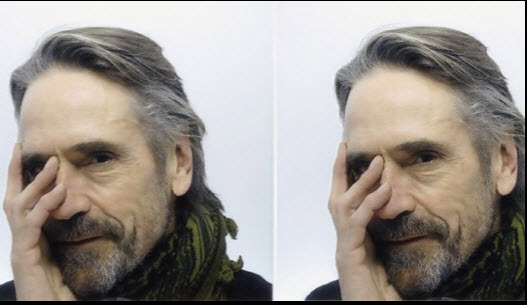 Programme from Josephine Hart Poetry – Robert Browning event Jeremy Irons nominated for Golden Globe award!